Please Join Indian Peak Vineyards on Saturday and Sunday February 10th and 11th from 11am to 5pm at our Manton Wine Tasting Room. We will be celebrating Valentine’s Day with our Dark Chocolate Fountain and all the goodies. Corning Olive Oil will be here with their products, and we will have Chocolates by Chocolate De Nannete. Happy Valentine’s Day! 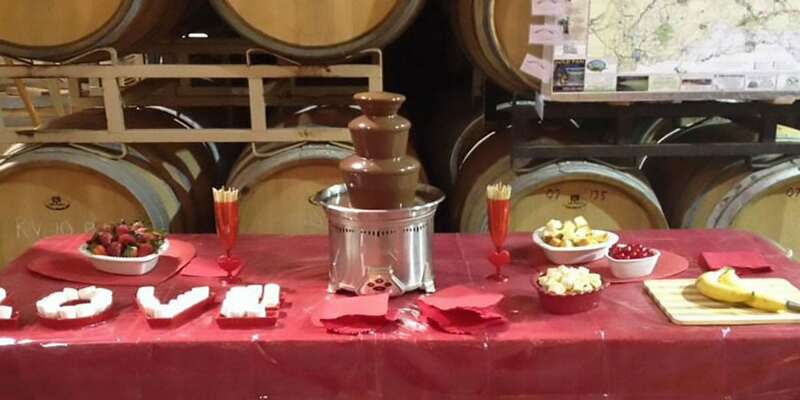 (Well, almost…) Glad to see you made it to our Website for our Wine and Chocolate Weekend! Bring anyone and everyone that you would like to enjoy tasting some of our wonderful wines and get away from the regular routine. If that’s what you are looking for, You Are in the Right Place! We make all of our wines right here in Manton, California and we always wanting to share new good times with our guests who drop by to relax and enjoy a Glass or two with us. 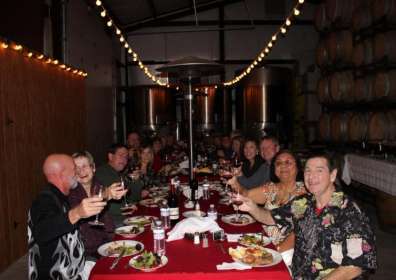 Wine Tasting with friends and family is a fine way to make some lifelong memories. And there is no time better than this weekend at the Wine and Chocolate Weekend! Click Here for Directions to Indian Peak Vineyards Winery. Can’t wait to see you here!